This quick and easy tiramisu is so simple to put together! Layers of delicate lady fingers, rich mascarpone cheese and the sweet mix of cold brew and Kahlua creates a decadent dessert, and it only takes half the time to prepare compared to the traditional method! This is delicious and and a fun, quick way to enjoy one of my favorite desserts! I had wanted to go to culinary school since I was in high school. My mom was such an amazing cook growing up, and allowed me to develop a passion for good home cooked food. We always spent our nights around the dinner table as a family and it was such a special time to share together. I ended up going to culinary school after a few years at the University of Iowa, and I am so happy I did. After graduating, I got a job working as a pastry chef at a small Italian restaurant in my home town. I would go in every Saturday before the restaurant opened and make large batches of tiramisu, about 12 trays at a time. They were easy to freeze for use later, so the restaurant would take them out as needed. The whole process took about 3 hours, with so many detailed steps involved. It quickly became my favorite dessert to eat, but since leaving the restaurant industry, I rarely make it because of how tedious it is! 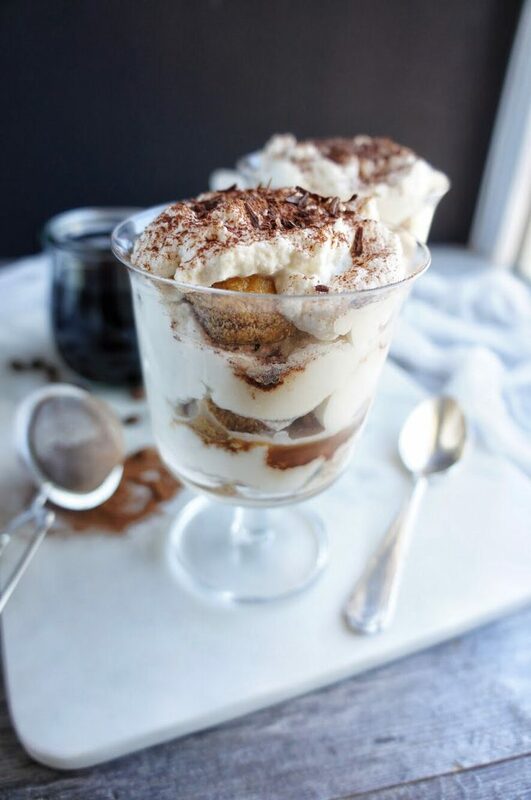 I’m here today to simplify that process so you can enjoy these decadent tiramisu trifles whenever you want! It’s important to use quality ingredients if you want a really delicious tiramisu. 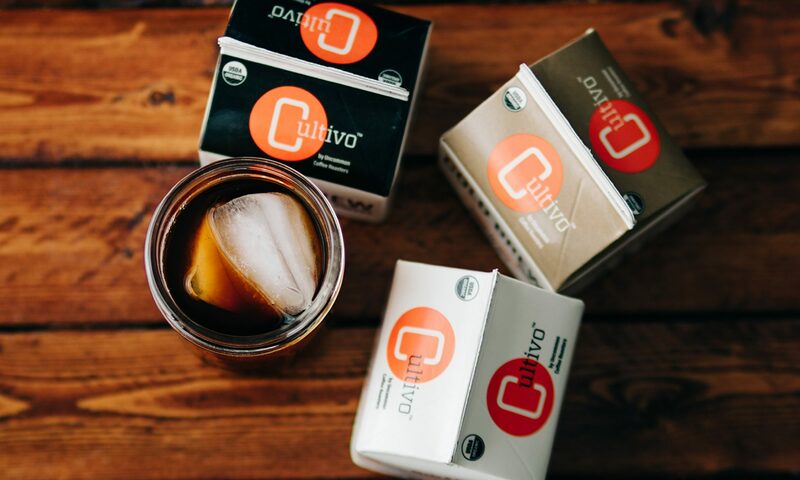 That’s why I’m using Cultivo® Organic Cold Brew Coffee. 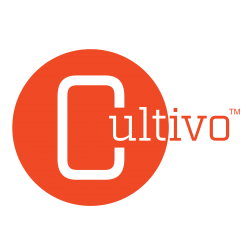 Cultivo only roasts in small batches and the coffee is steeped for up to 20 hours. 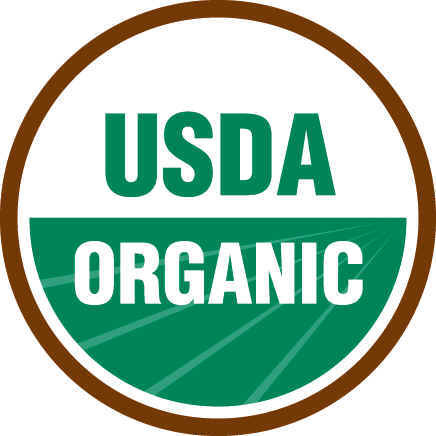 All their cold brews are made with only USDA Certified Organic products. I combine their cold brew with some simple syrup, cocoa powder and Kahlua to use for a dipping liquid for the lady fingers. 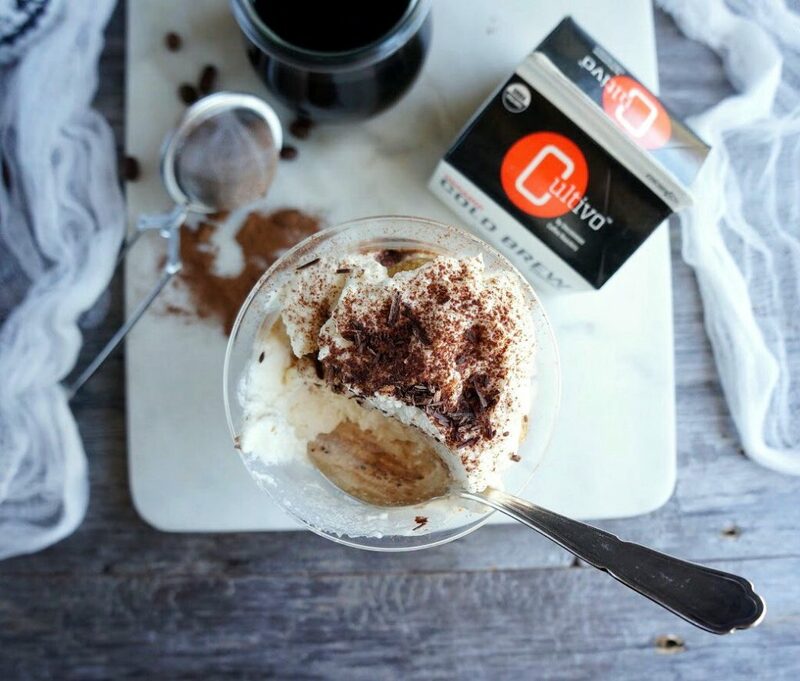 I love the flavor that Cultivo brings to this tiramisu! Your’e probably thinking, what’s the trick to this quick and easy tiramisu?!? We’re skipping the egg sabayon. *GASP* I promise you won’t even miss it! You might be wondering what a sabayon is. A sabayon is a light sauce traditionally made with egg yolks, sugar and wine (or Kahlua in this case). Also known by the Italian name zabaglione, it is believed to have originated in Italy around the 1500s. It helps to set up the mascarpone mixture. Since we’re simplifying this process, I’m skipping it and telling you, you don’t really need it anyway! 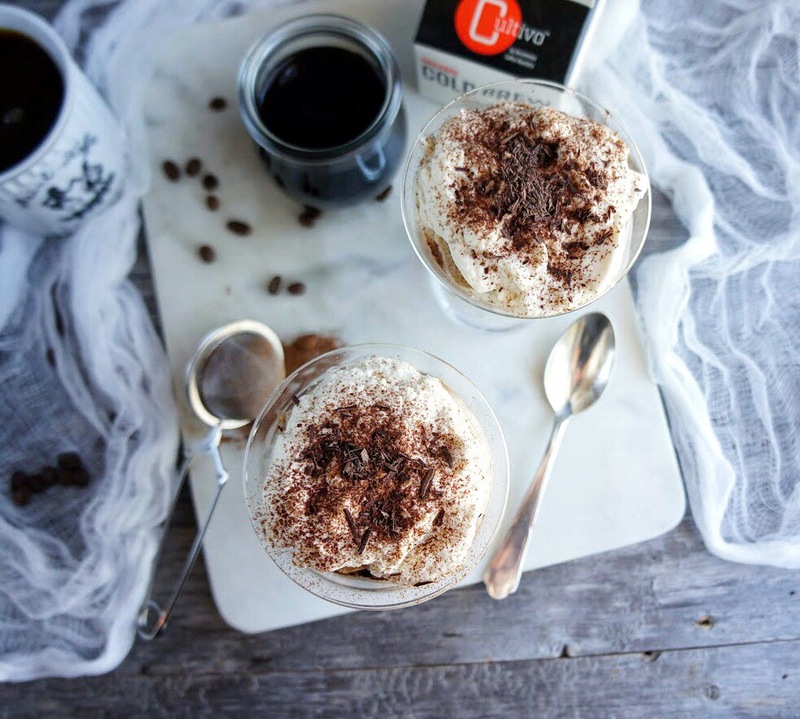 It tastes JUST as good, and omitting it makes this quick and easy tiramisu such a breeze to make! Want to see the whole process?? 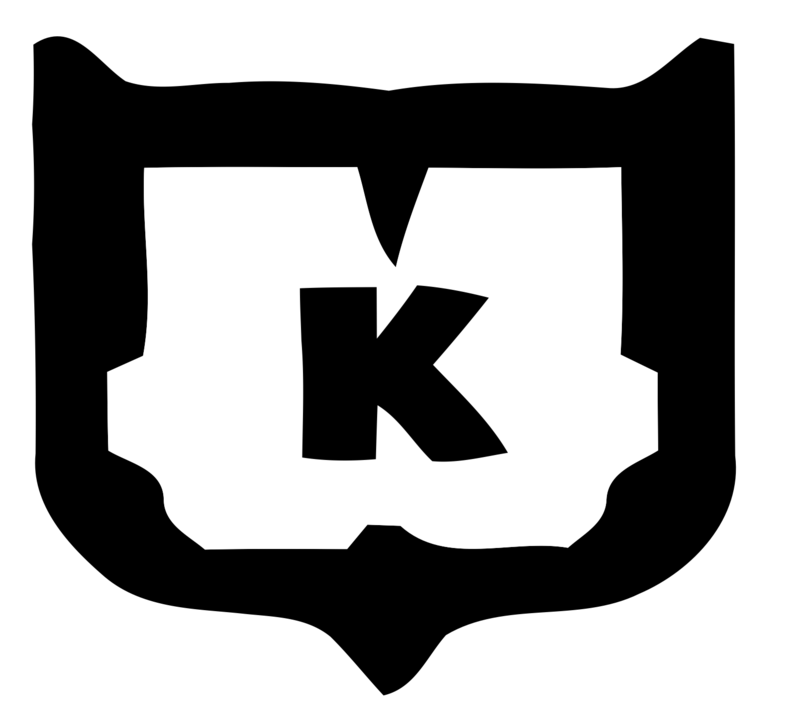 Check out my video here!